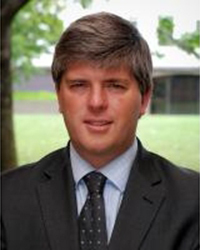 Dr Christopher Ward is a recognised expert in the field of international law. He has particular expertise as an advocate in cases which involve the domestic and international law interface, and has worked regularly in areas as diverse as human rights, maritime boundaries and diplomatic immunity. He also regularly accepts instructions in appellate and significant commercial and public law matters. As an advocate he has appeared successfully before all major Australian courts and tribunals, including the High Court of Australia. Dr Ward is the President of the International Law Association (Australian Branch) and sits on a number of international law committees. Dr Ward is an Adjunct Professor at the Australian National University. His particular teaching and research interests lie in postgraduate international law, disputed maritime boundaries, international arbitration and human rights. In his spare time he is the Chairman of the Canberra Thoroughbred Racing Club Inc.